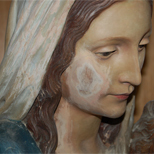 This Madonna was given to us with different damages such cracks, a missing finger and parts of the colour missing. 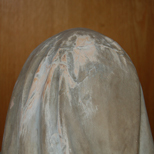 It is a Virgin Mary from the year 1935 made by the famour sculptor Luigi Insam called 'Tavella'. 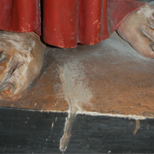 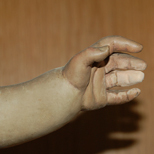 The result of our restoration is a wooden statue looking like new.